My description of a perfect day in Barcelona will probably be totally different to the others here. I don’t live in the city, so I don’t know all the little corners (the best places to have a good coffee, brunch or to take photos). However, I’m always very excited when I can finally get to Barcelona. Knowing this, my boyfriend surprised me with a day trip in February last year. This day is very special to me because during it we decided to move in together. It was perfect from beginning to end, so I will tell you about the places we visited. We arrived at 11 a.m. and parked the car near Parc de la Ciutadella. The weather was just perfect, I enjoyed the winter sun on my cheeks. As last year was the centenary of the big battle after which Catalonia lost its independence, we went to the neighbourhood El Born. 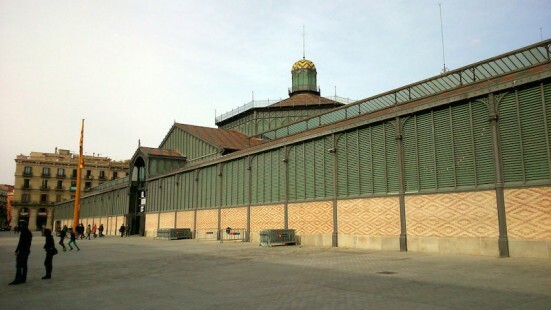 Here you can find an old marketplace from the 19th century which has been renovated and is now a cultural centre. Sounds boring, right? But wait until you get inside! 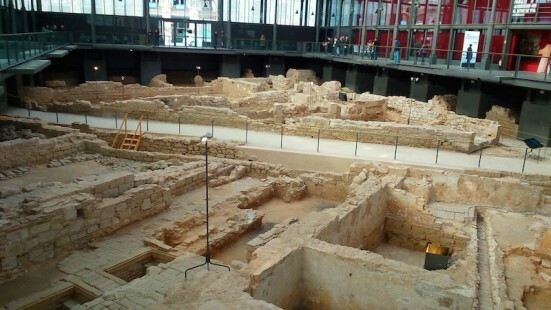 Under the marketplace you can see Barcelona of 1700. Yes, you guessed right. This centre was built to remind the people of the siege of 1714 when Catalonia lost its independence to Spain. But don’t worry: the ruins were restored perfectly. If you want to see the ruins the admission is free. There are also several cultural activities. Just go and choose the one that suits you the best. After the ruins we were searching for a restaurant. We chose Lonja de Tapas (Pla del Palau, 7). This was the first time that I tried out tapas! I come from the Eastern side of Europe, and I never had the opportunity to try out these delicious things before. 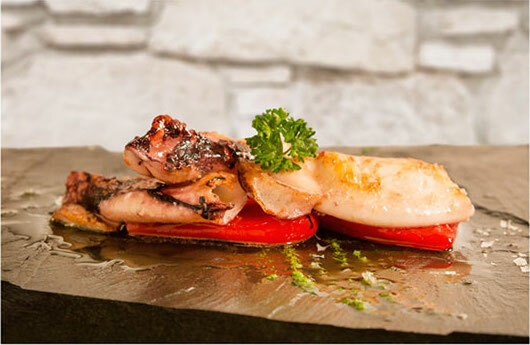 For those who have never visited Catalonia (or Spain) before: tapas is not one special dish. They are a wide variety of appetizers. They may be cold or hot. Although we are talking about little snacks, this kind of gastronomy evolved into an entire and sophisticated cuisine. Therefore the people combine them to make a full meal. We did the same. We ordered four different kinds of food: grilled goat cheese with tomatoes, roasted ham, chistorra and calamari (I’m getting hungry again. Oh, those memories!). They were delicious, but of course it wasn’t enough. So we ordered the traditional patatas bravas (roasted potatoes) which were served with different sauces. I just loved it! But the day doesn’t end with a lunch. Afterwards we went to another ‘top secret’ place (part of the surprise). You will never guess: we visited the Aquarium. 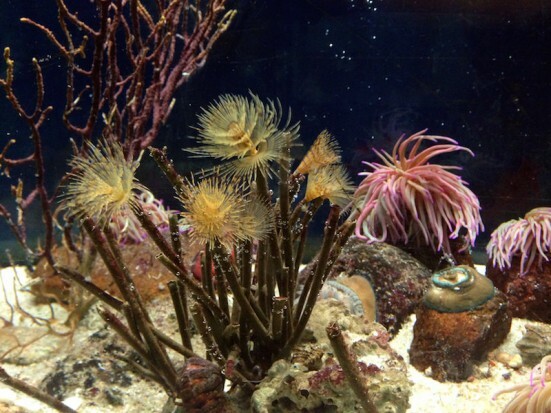 This unique place is home to 11,000 animals representing 450 species! I really appreciated the effort to show the animals in their “natural environment”. This means that you can find here the Red Sea or even the Caribbean Sea. But the biggest sensations are the sharks! Although the ticket prices are quite high (we paid 20€/person), I really enjoyed every second. When we came out of the Aquarium it was already dark. But not cold! We decided to use every moment, so we took a walk through Maremagnum, up to Las Ramblas where we bumped into the folks of the carnival. The sound of drums accompanied us to our car, and I was singing the whole way to Olot. Gabriela was born in Slovakia with a Hungarian background. After a successful career in customer support Gabriela decided to start a new life with her Catalan boyfriend in Catalunya. She is the creator of “How to feel like Catalan”, where she writes about her everyday life, food and traveling. Keen on photography she is trying to get better every day.